Nov 15th 2012 - Ducati introduce the next generation of the Hypermotard family, taking the innovation and excitement of the original concept and enhancing it even further with three incredible new models: The thrilling Hypermotard, Hypermotard SP and the introduction of a stylish and accessible mid-range tourer with everyday practicality – The Hyperstrada. 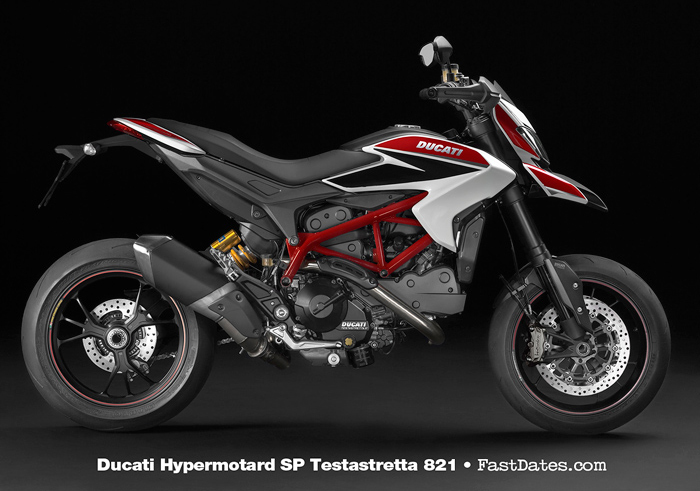 The new range combines Ducati's latest technologies with outstanding Italian designand engineering to write the latest chapter in the Hypermotard story. 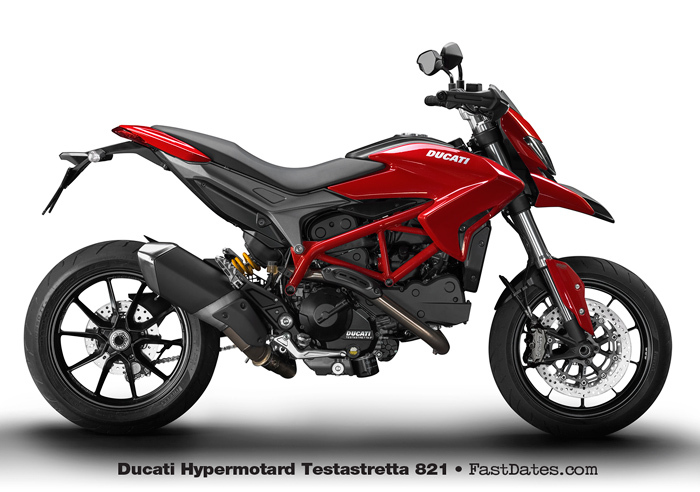 The Hypermotard and Hypermotard SP deliver a thrilling and fun filled experience, whether on the daily commute or ripping-up the track asphalt, while the Hyperstrada awaits long distance adventure, enabling practical, everyday motorcycling in absolute Ducati style. 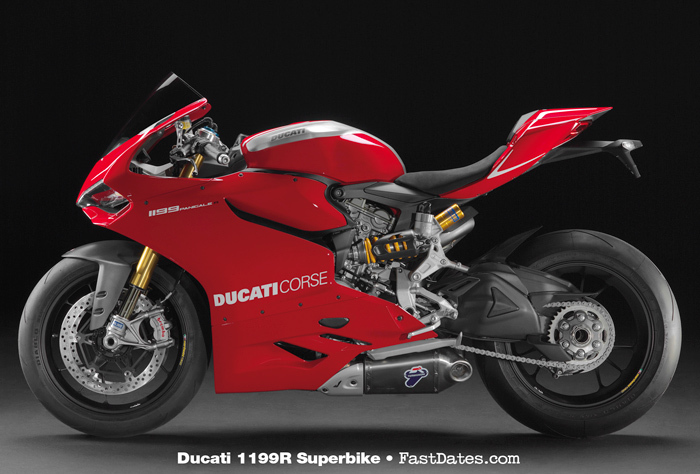 Brand new from the ground up, the models introduce the new 110hp Ducati 821cc Testastretta 11° engine in a new Trellis frame equipped with top-of-the range chassis components. 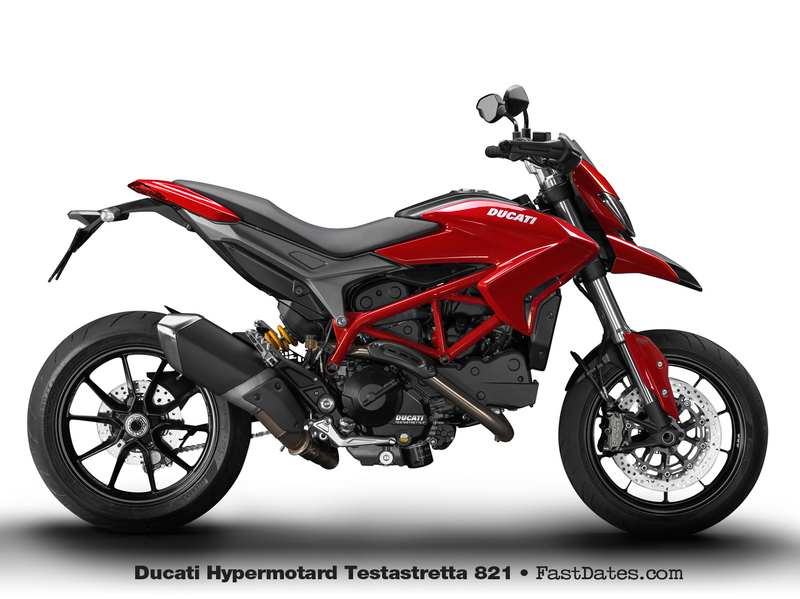 The Hypermotard and Hypermotard SP use sharp and sleek styling to maintain that essential Supermotard look, while the Hyperstrada is factory-accessorised with full touring-oriented specification. 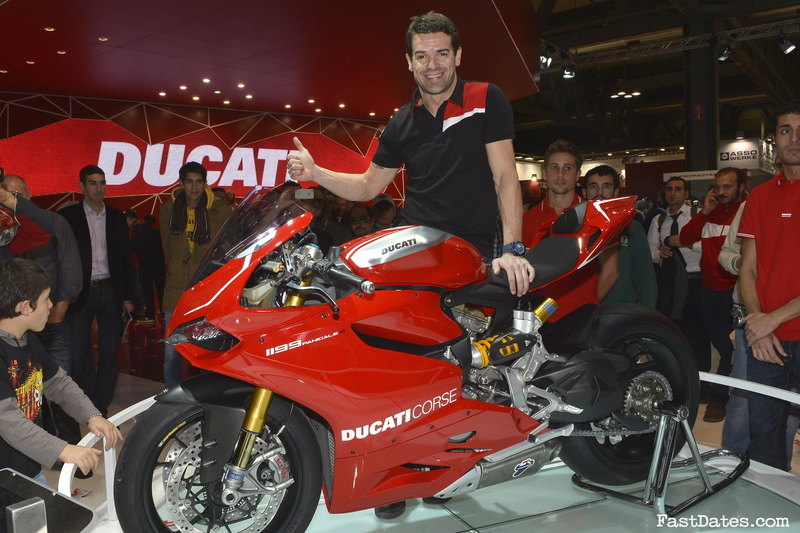 Combine these two worlds of performance with excellent ergonomics and the Ducati Safety Pack of latest generation 3-level ABS, 8-level Ducati Traction Control and integrated Riding Modes, and the new range takes on a relevance that makes perfect sense in modern motorcycling. 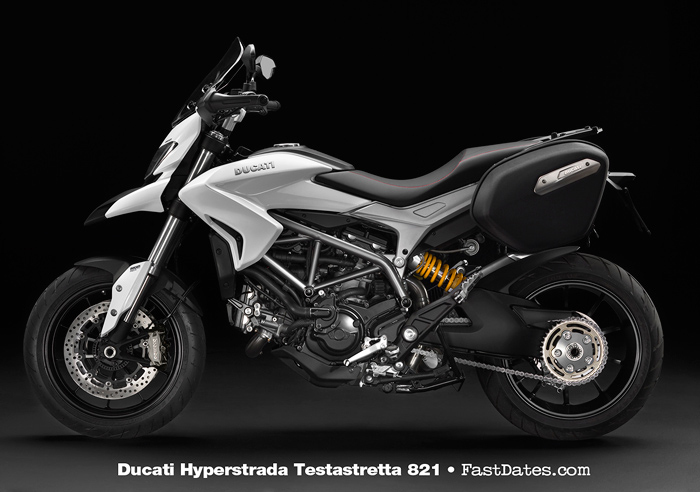 The First Generation Hypermoto used the older Ducati Desmodue 2-valve 1100 Evo aircooled engine rated at 95hp which still remains for now in the current 2013 Monster range, but look for this new 110hp Ducati 821cc Testastretta 11° engine to find its way into the Monster line in the next year or two. 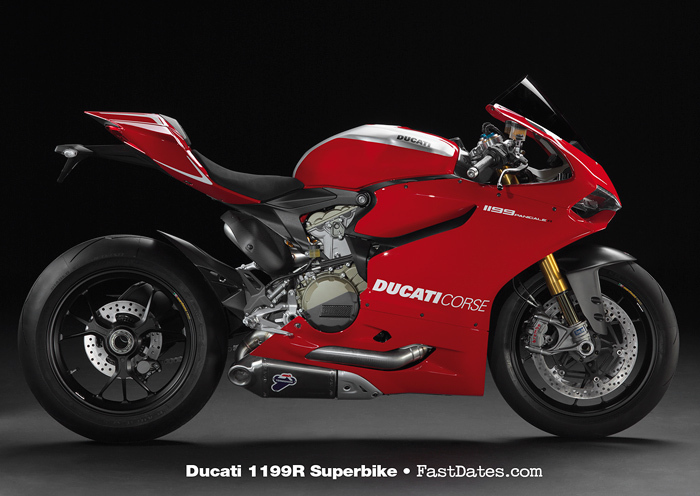 The First Gen had a quicker 24° rake / head angle with a short 1455mm wheelbase which made it pretty nervous as a street bike, but the Second Generation is really slowed down with a 25.5° rake / head angle with a 2-inch longer 1500mm wheelbase. For a weight comparispm of the new bigger Hupermotard with the 4-valve watercooled motor, the new SP model has an advertised dry weight of 194kg / 377lbs while the previous aircooled bike weighted 179kg / 398lbs. So the new Second Gen bike is some 20 pounds lighter with 15 more horsepower, in a much more stable and comfortable chassis. 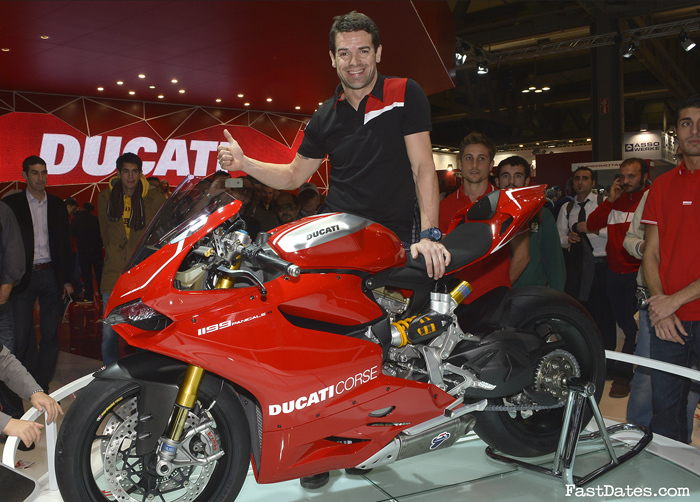 Sounds good to us - we can't wait to ride one! The new range takes the Hypermotard concept into the future with refined design and user-friendly technologies that will enhance its enjoyment to a wider range of riders. 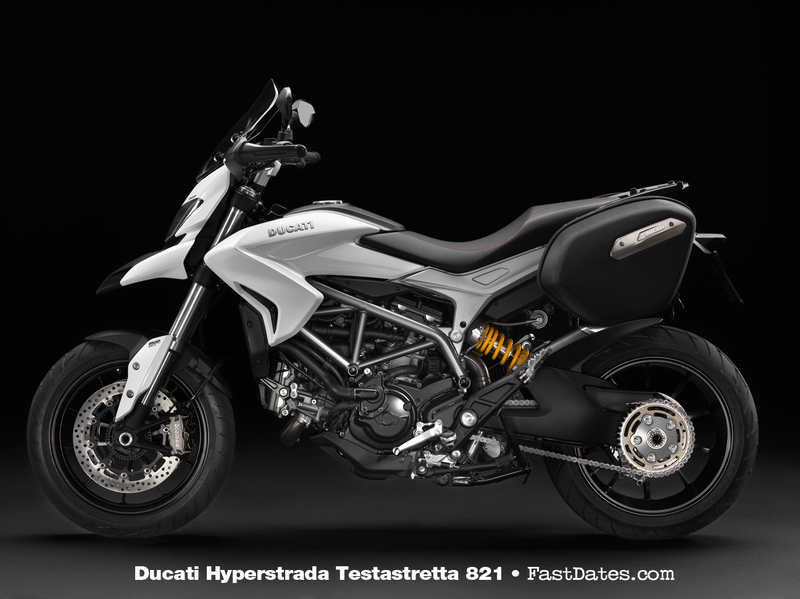 suspension gives a true supermotard stance, increasing ground clearance to 210mm (8.3in) and enabling a thrilling 47.5° of available lean-angle for maximum enjoyment. 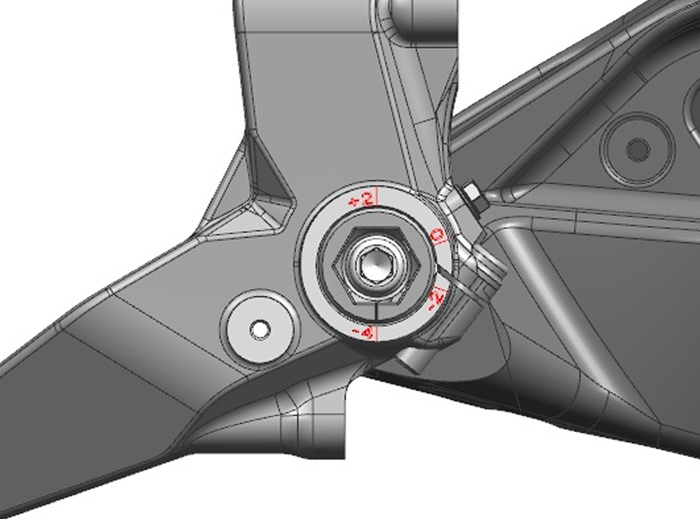 The SP is equipped with fully adjustable, pressurised Marzocchi usd forks that feature hard-anodised aluminium sliders. The state-of-the-art lightweight forks are provide professional, precise and highperformance handling with an increased stroke of 185mm (7.3in) as well as excellent feed-back through the aluminium, tapered handle bars. The rear suspension is equally as high-end with a stunning, fully adjustable Öhlins rear shock with integrated “piggy back” reservoir providing 175mm (6.9in) of rear wheel travel. 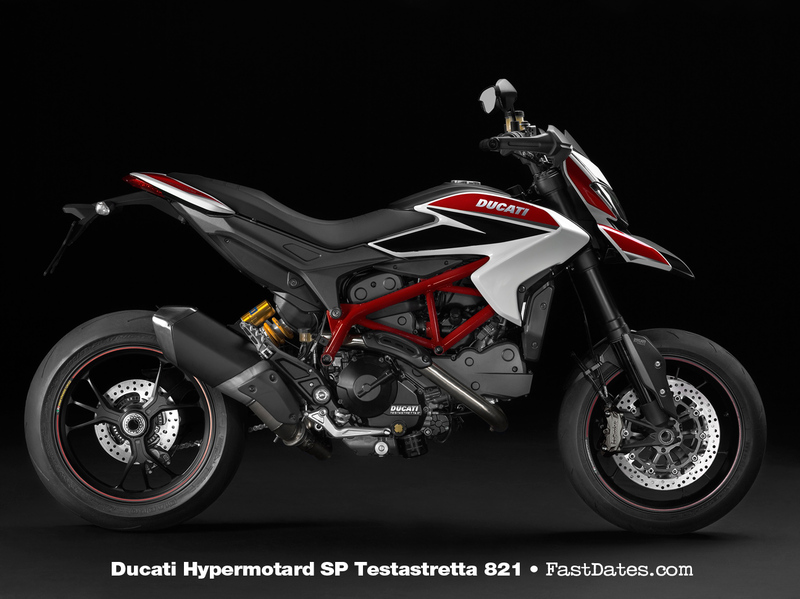 Naturally, the Hypermotard “SP” is fitted with Pirelli Diablo Supercorsa “SP” tyres in 120/70 x 17 for the front and 180/55 x 17 for the rear and is equipped with super lightweight 1199 Panigale S-style triple three-spoke forged aluminium wheels by Marchesini, further underlining the SP’s focus on high performance. 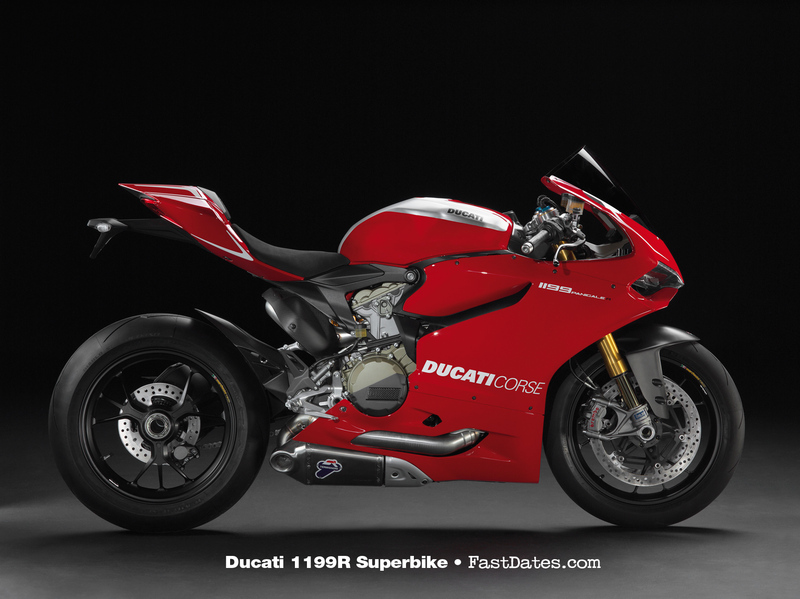 This top-of-the-range model is also fitted with a special race-style seat fabric for added “feel” and equipped with the GPS-enhanced Ducati Data Acquisition system, for automatic lap times and circuit map-linked data. 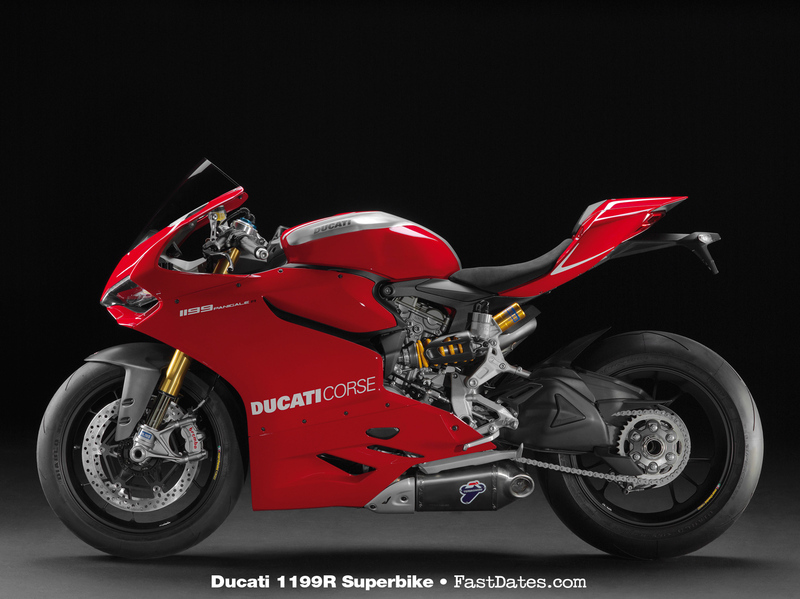 The 1199 Panigale R is dressed in Ducati red with defining white race features, sporting a mix of red and brushed aluminium on the fuel tank with lightweight forged wheels by Marchesini in black.